The home of O’Hare International Airport and The Windy City, Illinois is a hub of culture and activity. The relatively flat topography in The Prairie State consists of a good mix of urban, rural and agricultural areas. Climate in Illinois varies as much as the demography and geography. Snowfall in the northern part of the state, around Lake Michigan, can be heavy, while winters are milder farther south. Summers are humid and range from continental to subtropical in temperature. Because Illinois is well populated, it also has a strong economy. Hence, the state is a good candidate for solar panel incentives. In fact, major rebates exist, and the Illinois Solar Energy Association will soon offer performance payments to generators of solar power. 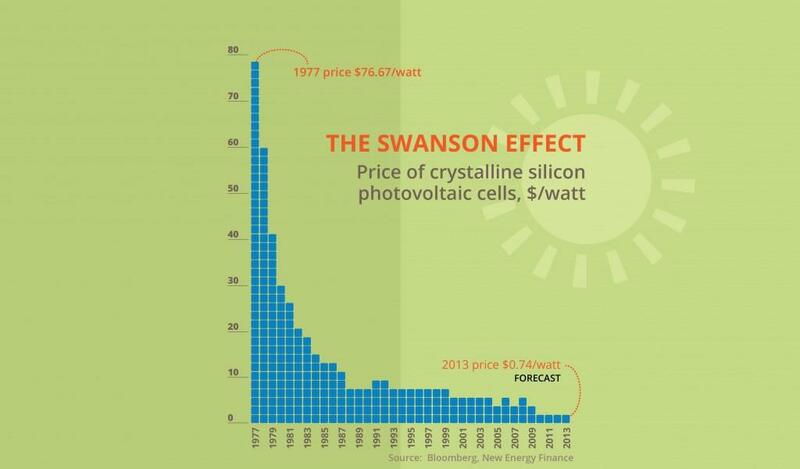 One glance at the Swanson Effect graph depicted above clearly shows the drastic drop in solar energy costs since 1977. 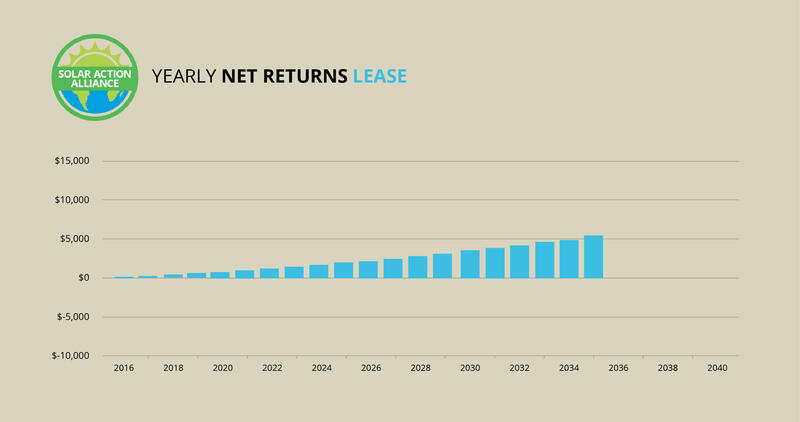 In the next several years, new technology will further reduce costs. Solar power is less expensive than ever. So what’s the scoop on Illinois in particular? Read on to find out. 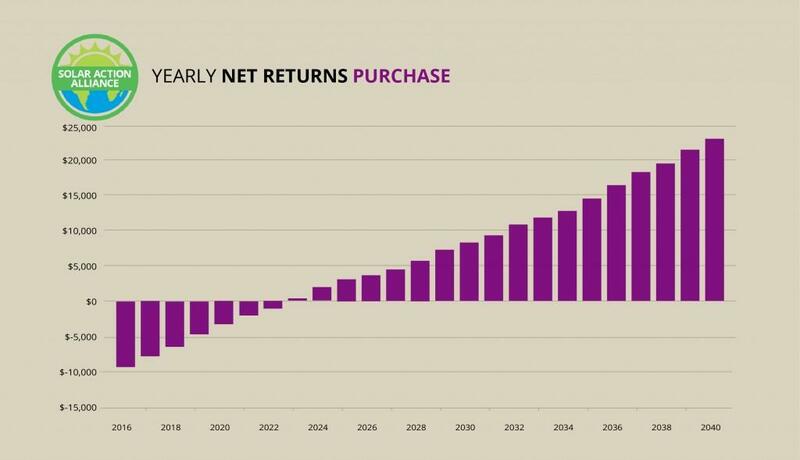 The graph above shows the returns on an investment in solar energy over a 25-year period. We’ve shown you three different options so you can compare and contrast them. Regardless of what route you take, you’ll turn a profit by investing in solar panels in Illinois. The state’s low electricity rates might have you scratching your head, but because Illinois gets plenty of sunshine, your savings from the first day of your installation are significant. 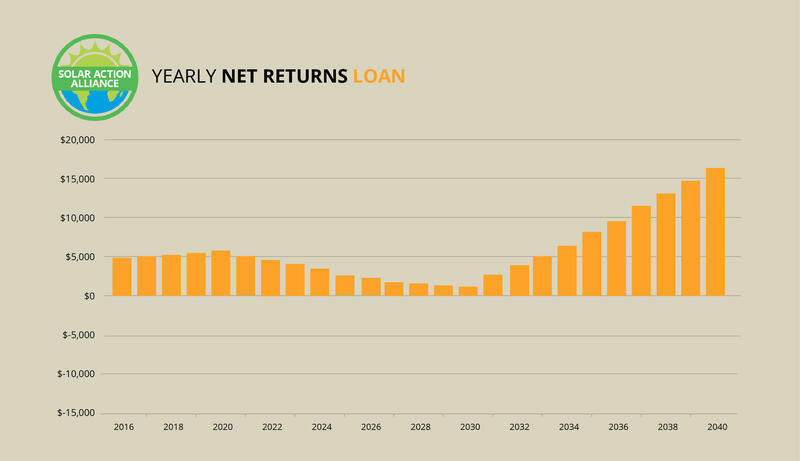 Illinois is a bit of an oddity in that a loan is actually a very good option—even better than an outright purchase in some cases. If you buy solar panels with your own money, you’ll have to put a significant amount of money down. However, if you can do without instant gratification, you’ll end up making more money over the long (25-year) haul. If your budget is tight and your credit isn’t excellent, a power-purchase agreement (PPA) is still a great opportunity. Although you won’t benefit from tax credits (since the installation company owns your system), you’ll start saving on your energy bill right away. The sky’s the limit when it comes to making money through solar power in Illinois. Read on for more details about your options. If you compare the loan graph above with the purchase graph below, you’ll see that a purchase leaves you with more money at the end. Nevertheless, there’s a significant cost to you at the beginning and for the first eight years. When you pay for your solar energy system with loan funds, you have nothing to spend and everything to gain. In some states, if you don’t have $16,000 available to purchase solar panels, your other options aren’t so sunny. In Illinois, however, your home equity is actually a better way to finance your installation. Even if you can afford to pay for the panels yourself, it’s worth taking the loan and doing something else with your own money. You’ll still get your federal tax credit of 30 percent. All you need to do is get a home equity line of credit (HELOC) for about $16,000, with a repayment period of 15 years and a fixed interest rate of 5 percent or less. If you don’t qualify for a rate that low, don’t necessarily reject the idea of a loan. You might not make as much as shown in the graph here, but you’ll still see profits every year, because your savings in energy costs will be so substantial. 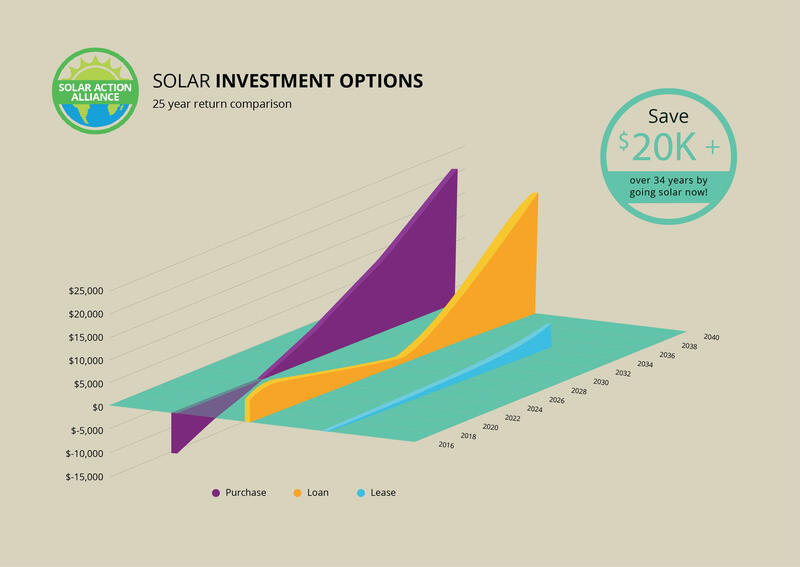 The bottom line is that few investments today offer the same returns as a solar energy system purchased with borrowed money. As is the case in many states, an outright purchase of a solar panel system in Illinois is a profitable option. Buyers get a federal tax credit of 30 percent. Further renewable energy rebates, credits, and grants are available from the Illinois Department of Commerce & Economic Opportunity. Moreover, solar panels and accompanying equipment have dropped so much that an installation pays for itself in less than 10 years. As long as the sun comes up each morning, within 25 years, you’ll have earned almost $23,000! Now, let’s say you don’t have extra cash, and you don’t qualify for a HELOC. Should you write off the idea of converting to solar power? No way! You can always lease your panels. With no money down, you’ll still save money for the next 30 years! Electricity in Illinois isn’t expensive, but various incentives make solar power inexpensive here. Let’s say you lease a solar panel system that generates 5 kW per hour of sun. Your costs will be a little over $600 annually. However, by generating your own power (with the help of the sun), you’ll actually save well over $700 within that year. You’ll come out ahead by more than $100! Over the next years, utility rates are bound to increase, but your payments won’t increase to the same degree, so your savings will increase. At the end of 20 years, you’ll easily save over $5,000. The best part is that because you don’t own the panels, all maintenance and repairs are covered by the company that installed them. If you worry about the possible headaches of a solar energy system, third-party ownership eliminates those worries. It’s passive income at its finest! 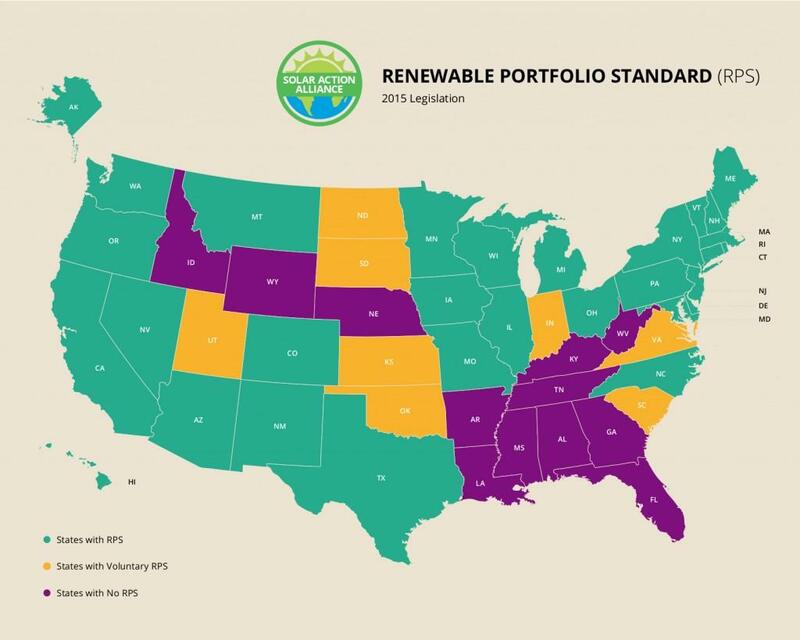 An RPS is a piece of legislation that mandates the partial transition to renewable energy sources by a certain date. When an RPS is strong, utility companies must promote the conversion to solar and other forms of clean energy. If the utilities fail to progress in this area, they pay fines to the state for noncompliance. Illinois intends to have 25 percent renewable energy by 2025. While it’s not the most ambitious goal in the country, it’s certainly respectable. What does the RPS mean to state citizens? Generally, you’ll be motivated to go solar by rebates and performance payments. 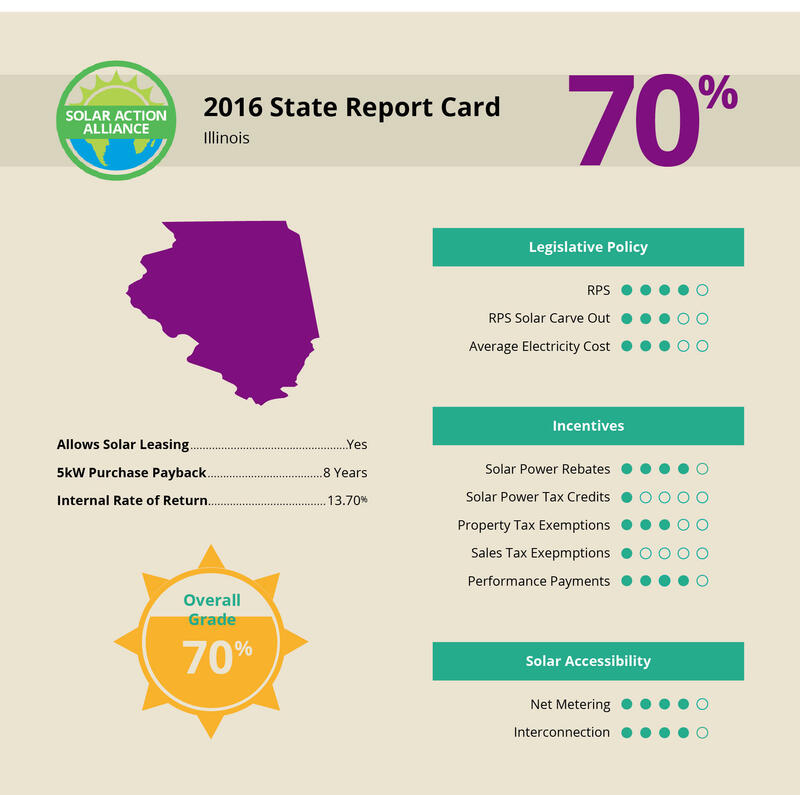 Illinois earns a solid “C” grade for its solar panel policies. It takes about nine years for a purchased solar energy system to pay for itself. This is just shy of the ideal of eight years. However, if you qualify for state and local grants, the payback period drops to five years or even less. What would it take to increase the solar rating? Better tax credits and a sales tax exemption would make the future of solar energy a little bit brighter in the Land of Lincoln.